Does working with money make us worse people? Gordon Menzies is Associate Professor of Economics at University of Technology Sydney, and a Fellow of CPX. Everyone likes a good royal commission – watching normally unaccountable people give an account of themselves. With all the anger about inequality now, it is especially appealing to see the spectacularly paid elite getting their comeuppance. But if academic research into the impact money has on ethics is accurate, maybe these financial professionals really couldn’t help themselves. Does working with money actually make us worse people? We’ve all heard the maxim that “money is the root of all evil” (actually a misquote from the Bible). It’s fallen out of favour in an age of neoliberalism, and my colleagues and I in universities have taught instead that money is merely a way of swapping things, a way of carrying wealth through time, and a common measuring stick for all marketable goods and services. But a sense of the potentially sinister power of money is making a comeback in psychology studies. A few examples. The theory of “motivation crowding out” looks at money’s power to “crowd out” other motivations (like ethical ones) when it’s used as an incentive. A classic example is the study of six daycare centres in Israel. The owners were concerned with parents regularly coming to pick their children up late, and so they did what any economist would recommend – they imposed a financial penalty for turning up late. The big surprise was that imposing the fine meant that more, not fewer, parents turned up late. Suddenly they saw it, not as an ethical issue – it’s poor form to show up late – but as a financial transaction. When financial incentives were involved, late arrival went from being a violation of a principle to a question of cost-benefit analysis: I’m willing to pay for babysitting in order to stay longer at work. The second kind of study is much more recent, and so the results must be taken as suggestive until they are replicated. In so-called “priming” experiments subjects are reminded of money before doing an unrelated task. That is, agents are exposed to money without it being an incentive. For example, agents might be separated into two groups, one of which counts money while the others count paper. Then their behaviour is closely observed in artificially created social situations – noting, for example, whether they help someone in trouble. In a review of many of these money priming studies Kathleen Vohs reports that money priming generates “undesirable effects on interpersonal warmth. People reminded of money, compared to other concepts, are unhelpful, stingy, and disinterested in social contact. They fail to put themselves in others’ shoes. They are not compassionate or empathetic”. I guess you can see where this is heading. If financial incentives on their own crowd out good motives, and if we allow for some degree of money priming effects in an industry that is “all about money” – where the content of the work and the goals of the organisation are all money-primed – then it is hardly surprising that participants in the finance industry would be “at risk” of the kinds of behaviours aired so publicly during the commission. My last experiment seems to support this. A 2014 edition of Nature describes a coin-flipping task given to 128 bank employees from a large, international bank. They were asked to flip a coin over and over, and report whether it came up heads or tails – and were rewarded with $20 each time they achieved the “right” result. What was so clever about the experiment was that the experimental subjects flipped their coins out of sight. It was impossible to tell if any individual was cheating – but when the group results were compared with what the laws of probability said should happen, group cheating could be detected. Prior to the coin task, the control group of bankers was asked questions about the use of their leisure time and their hobbies, guiding their thoughts and feelings towards their personal identity. The treatment group of bankers was asked about their work life, guiding their thoughts and feelings towards their professional identity. Sociological studies have concluded that in contemporary society money is “revered, feared, worshipped, and treated with the highest respect”. When guided to think about their professional identity, the bankers as a group reported on average too many financially rewarding tosses: they lied for financial incentives. But they were generally honest when focused on their personal identity. The experiment was repeated with other employment categories, including manufacturing, pharmaceuticals, telecommunications and information technology. Guess what? No significant increase in dishonesty in the professional identity treatment was found for the non-bankers. Sociological studies have concluded that in contemporary society money is “revered, feared, worshipped, and treated with the highest respect”. Such an other-worldly valuing of money might seem a little far-fetched. But in a 2013 study, people reminded of death overestimate the physical size of money, and have a higher bar for defining someone as rich. Even more startling, people exposed to physical money report a lower fear of death. Motivation crowding and money priming suggest that money is more than a simple tool for exchange: it exercises psychological power over us. The correct quote from the Bible is that “the love of money is the root of all kinds of evil”. 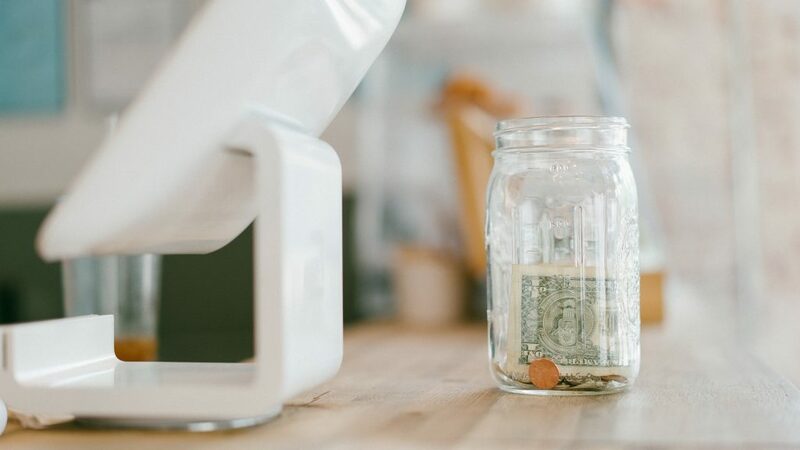 Jesus warned that “No one can serve two masters … You cannot serve both God and money”, and it looks like research may be catching up with him – money is something that can be loved and served, that we can even treat as sacred. So let’s not be too tough on the witnesses at the commission. After all, some of them are in an equivalent situation to drug addicts, having lost control of their lives to a powerful substance. And a royal commission into any business, organisation or home would always uncover something ugly. Who knows, one day we might find ourselves unpleasantly surprised at what we will do for money. This article first appeared in The Guardian Australia. Gordon Menzies is an associate professor in the economics department of UTS.